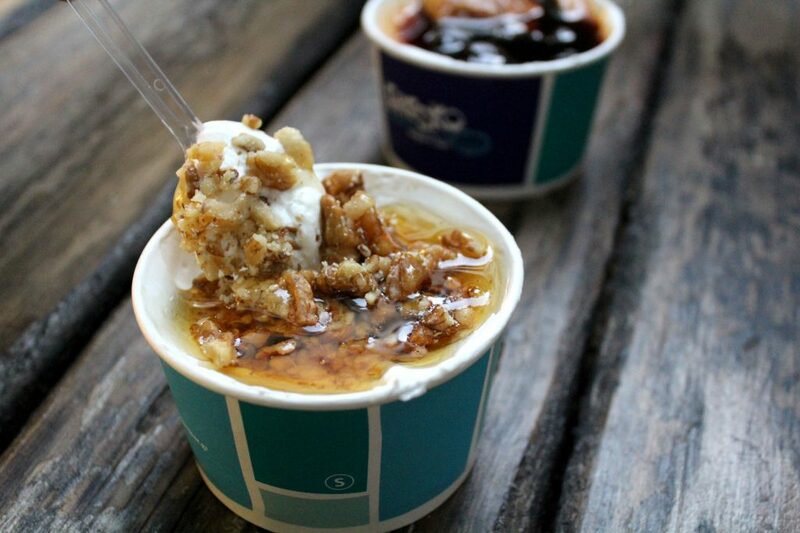 Of course, if you are in Greece you MUST try Greek Yogurt. This is something I really like, I have Greek Yogurt almost every day, not only for breakfast, but I love to add a dollop of it to curries and many other dishes. While in Greece I had the opportunity to try a few supermarket brands, but what really caught my attention was the Yogurt Bars around the city. Yep, you heard it right, there are Yogurt Bars!!! 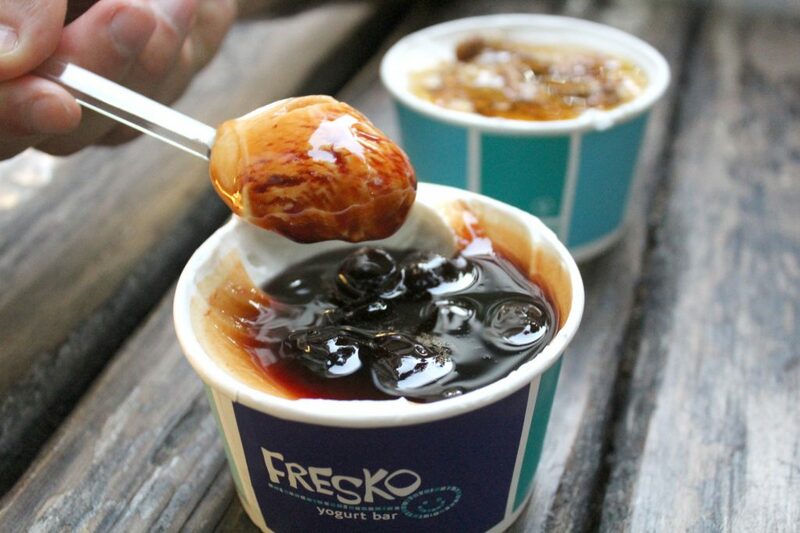 To start, I decided to try Fresko, the way it works is very simple: you choose the type of yogurt that can be cow’s, goat’s, or even sheep’s milk, then you pick which toppings you would like to pair it with. This was like heaven for me! Mine: Greek yogurt with honey and walnuts. Hubby: Greek yogurt with black cherry. Greek yogurt with black cherry. Best things on earth! The consistency of that Greek Yogurt is still in my mind, super creamy and smooth. Also, that combination of yogurt, honey, and walnuts is to die for. I hardly encourage you to have at least once this combination, which is the traditional way Greeks eat their yogurt by the way. Just go! In case you are not up to some yogurt, there are other dairy products available such as gelatos, milkshakes, and smoothies.